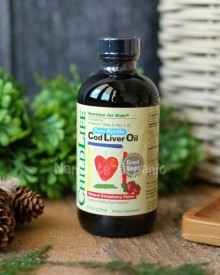 For many generations among many different cultures, families have given their children cod liver oil. Folklore tells us that this was because families observed how children raised with cod liver oil, grew healthier and smarter. Modern science now confirms this historical wisdom. Childlife provides the world's purest cod liver oil available. Every bottle is tested for any contaminants, pcb's, dioxins, metals, or other toxins, and exceeds all standards for the highest purity.